After years of working throughout Nova Scotia and New Brunswick, Crispin Cornect had set three goals for himself – start his own business, relocate to a place he could settle down, and start his own farm. Ten years ago, he started his own business, five years ago he relocated and was finally able to begin his farming lifestyle. Born and raised in Guysborough County, Crispin owns and operates Simply Ducky Farm in Antigonish, Nova Scotia. Here he raises Alpine goats for milk, cheese and companion animals; Landrace pigs for pork; White Cornish Cross chickens for meat; North Country Cheviot sheep for wool and lamb; as well as quail for eggs and meat. 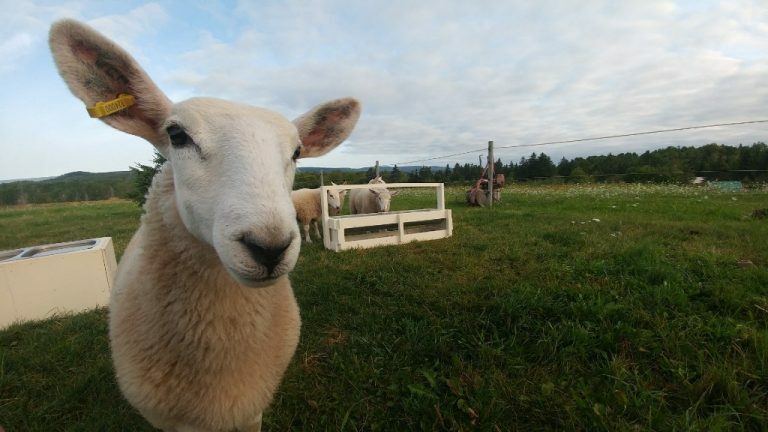 This will be his first year participating in Open Farm Day with Simply Ducky Farm – he has helped out at his parent’s farm, Cornect Family Farm, during previous Open Farm Days. 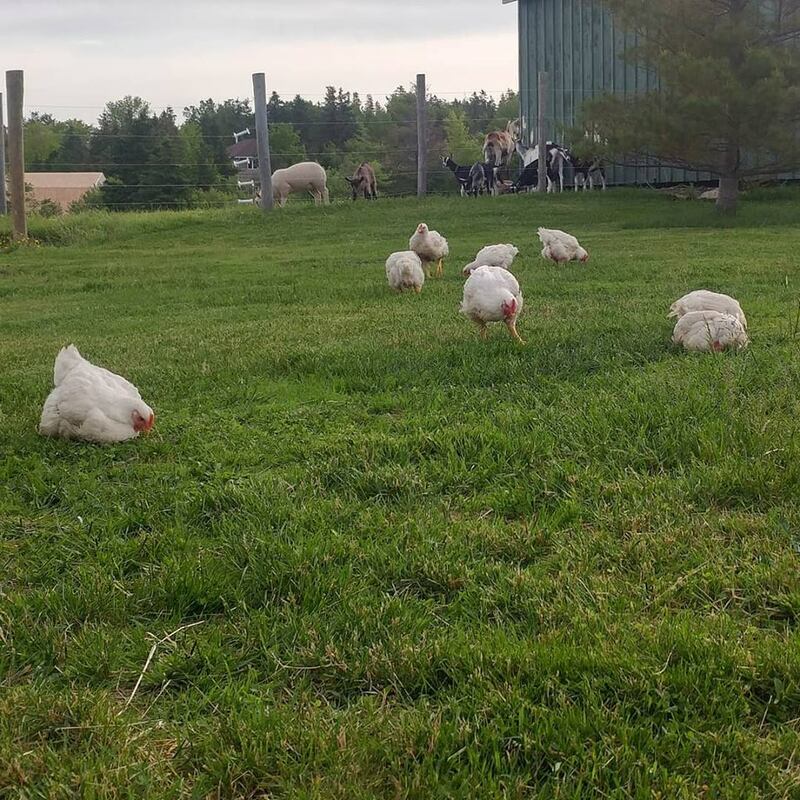 When visitors arrive at Simply Ducky Farm they can expect a small hobby-farm experience and a picture of what it can look like to raise a family’s worth of food on your own. 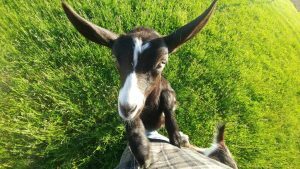 Crispin will be holding guided tours every hour, in between those people can visit the goats, see pasture-fed pigs running amok, inspect some free-range chickens, and see what it takes to raise your own quail. 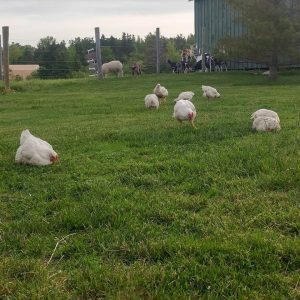 Crispin will also be discussing the ins and outs of processing your own chicken and making cheese. Potato, the friendly ewe will be on hand to greet visitors, as well as some rather skittish sheep skulking around the field. Did you know: all of the alpine goats at Simply Ducky Farm were bottle-fed? Which makes them very friendly, even with strangers! Simply Ducky Farm can’t wait to see you on the farm in September!